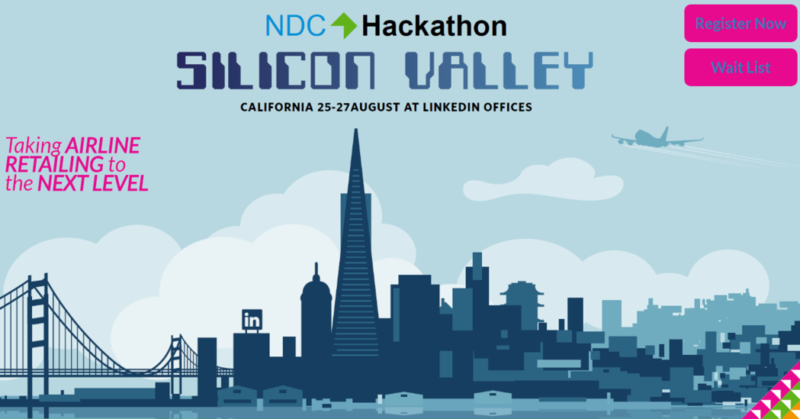 I’m going to Sunnyvale, California in just over two weeks to act as mentor and juror at the next IATA NDC Hackathon (#NDCHack), in the LinkedIn HQ. I’ll also be trying out LinkedIn’s new video functionality, I’m not sure what I’ll be videoing, but we’ll see how it goes. The event is already sold out and has a waitlist, so hopefully, you are one of the lucky few who got a ticket. Sponsors of the event include LinkedIn, IBS, TIBCO, IBM, SITA, and JR Technologies. The APIs available to developers will include airlines Amercian Airlines, JetBlue, Sun Express, and other travel services from App in the Air, Indigo Ground Transport, LinksRez, Routehappy and SITA.